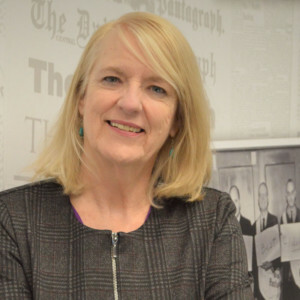 Thank you for visiting the online portfolio of Edith Brady-Lunny, crime and legal affairs reporter for The Pantagraph, a daily newspaper in Bloomington, Illinois. My career has taken me to small towns and big cities. In both places, the path to justice can be winding and uncertain. I have chronicled thousands of those stories. I hope you enjoy the examples of my recent work as well as some of the award-winning journalism that can be found on this web site. To contact me or share a comment, please visit the contact link on this page. The untold story of one woman’s search for love and justice. “Save my babies! Oh my God!” Amanda Hamm’s screams echoed in the late summer air surrounding Clinton Lake in rural Illinois. The Unforgiven is the story of how what appeared to be an accident turned into a crime. But was it murder? In this anatomy of an exceptional case that attracted national media attention, readers journey through unspeakable tragedy, small-town justice and the consequences of scalding decisions that changed people’s lives forever. 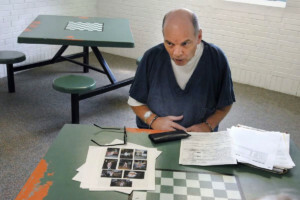 The story stretches well beyond the deaths of Amanda’s three children in 2003 to a Chicago courtroom more than a decade later where she was caught once again in the state’s sticky web of justice. But this time the lives of her three new children were at stake. The co-authors are veteran journalists with extensive firsthand knowledge of the case and access to nearly every record related to the court proceedings. Brady-Lunny covered the Hamm-LaGrone murder cases and the proceedings in Chicago related to her child custody case. The Unforgiven is a true-life drama of an extraordinary, unspeakable event that can never to be undone or forgotten, told with telling insight and fascinating detail by journalists Edith Brady-Lunny and Steve Vogel. 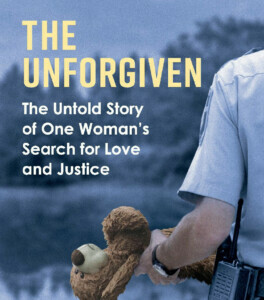 The Unforgiven is a harrowing journey into a tangled web of love, infidelity, suspicion, and tragedy. Dave Kindred, award-winning columnist and author. The line between murder and accidental death can be exceedingly thin. This narrow world is the core of The Unforgiven, a richly-told true story by award-winning journalists Edith Brady-Lunny and Steve Vogel. This is a remarkable tale of the tragic deaths of three children that forever changed a central Illinois community and raised deeply troubling questions about the criminal justice system. Bart McNeil is serving a 100-year sentence for killing his daughter, Christina. The 3-year-old girl was found lifeless in her bed in McNeil’s Bloomington apartment. Since the day of her death, McNeil has maintained his innocence in the child’s death. The case took a stunning turn in 2011 when his former girlfriend – a woman McNeil identified immediately as a potential suspect in Christina’s death – was charged with killing her mother-in-law. The Illinois Innocence Project is fighting in court to secure a new trial for McNeil based on evidence not presented to the jury that convicted him. Amanda Hamm and Maurice Jr. were both in the car when her three children drowned in the backseat. Two juries reached two very different conclusions on the murder charges each faced after the September 2003 tragedy at a central Illinois lake. Their story went on for another 14 years with twists and turns no one could predict. Summer was over and the kids were back in school. A hair on a pillow case, spider webs on the window screen.